Discussion in 'iPhone and iPad Games' started by VirtualBoyFreak, Mar 29, 2016. 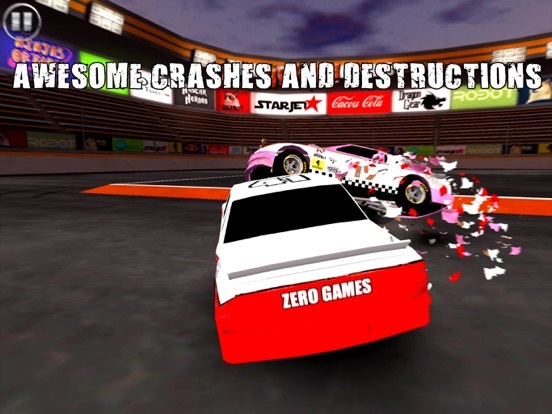 Extreme Gear : Demolition Arenas is the new generation of car destruction games. 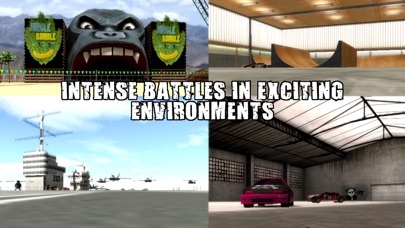 Select a car and go pedal to the metal in completely crazy arenas to crush your opponents and become the master of carnage. And if you want even more action, challenge your friends via online leaderboards and custom your vehicles to make them invincible! THE FIRST REAL DEMOLITION GAME ON MOBILE ! For the first time, you'll see real car destructions on your mobile. You can twist metal, lose your wheels, break your engine and even your gearbox ! 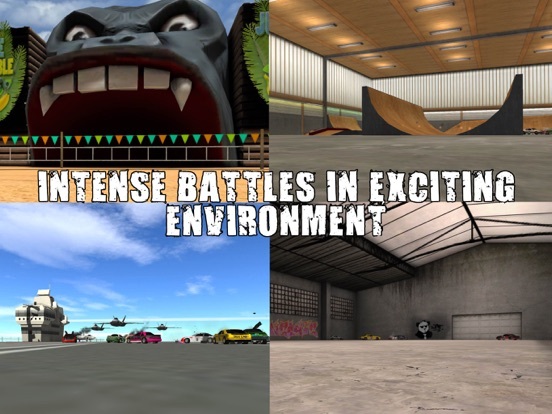 No doubt, Extreme Gear: Demolition Arenas offers the best of demolition! AWESOME SPECTACULAR CRASHES ! 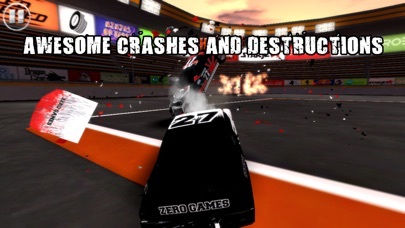 With arcade gameplay and awesome speed sensations, Extreme Gear: Demolition Arenas offers spectacular crashes of unprecedented violence! Buckle up, sit tight and smash the throttle, you'll love it! 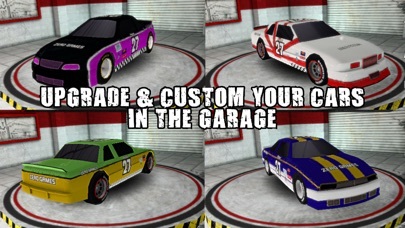 CUSTOM YOUR CARS ! Charge into your opponents with style and elegance! 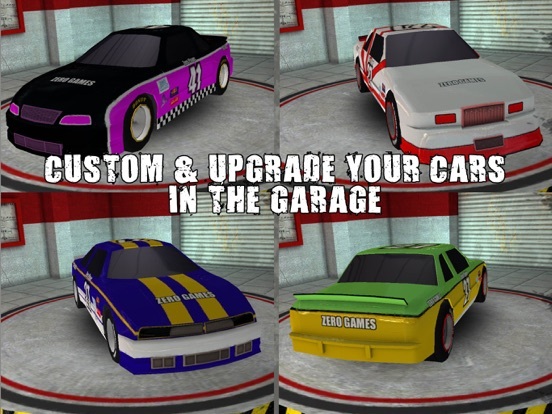 Customize your car in few seconds thanks to simple and intuitive controls. Change paint, sponsors and design quickly, and then improve the performance of your cars to make them even more dangerous! BEAT THE WHOLE WORLD ON THE LEADERBOARD ! Beat your friends on all arenas of the game and show them who's the real boss! The demolition has no limit : show to everyone on worldwide leaderboard that you are the true master of destruction! COULD YOU SURVIVE ? Prove to everyone that YOU are the king of motorized destruction and chaos with Extreme Gear: Demolition Arenas. Hang on to your device and let's go ! Cool! EDIT: released, but iOS8+ only. I thought you got it working on iOS7... Well, pity then, another one I can't play. It will work on iOS7 in a future update. It's just a question of time. (we're working very hard on it. Problems are that iOS does not support a lot of important things). Many things are not ready in this first version but we are planning a new update very soon which will resolve some performance problems, balance many unbalanced things and add new content and new languages. And here's the release trailer ! Is there an unlimited fuel iap? Not on this version. It will be available in 1.1 update (in less than 3 weeks). In fact we wanted it ready for release at first, but we had some issues with the logo of this in app purchase. So, time to fix it, it was too late for release. We know there's some small annoying things like this one for the release version, but it will be fixed. Sorry for inconvenience. Thank goodness. I was having so much fun. I will definitely be purchasing the unlimited fuel when it's added. That's great. It's a fun game. Brings back the adrenaline rush of the originals! Lining up a great wreck, foot to the floor, racing towards your target looking forward to a great smash, target moves at last second and you glance off it and into wall or another car... Arghhh!! All part of the frustration and fun... Love it! I'd think devs would know that an iap for no ads or unlimited fuel would be standard issue fair by now. Every game release it's the exact same thing. 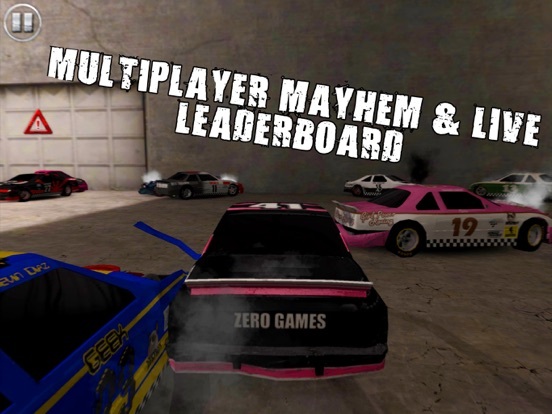 Very outdated graphics, even though I know its a homage to Destruction Derby, but still. Greedy IAP and add removal system. I loved Destruction Derby, but I will not support any developper thats so greedy and sells something thats so unpolished. I bought Carmageddon because it was not a Carmageddon game homage. It was the game transitioned to a new platform. This is a homage and it stinks. I love games that look like they should run on Windows 95 in 2016! Really I'm all for pixelated graphics but this game is just, lol. And an energy system? Good luck with this one. Anyone who wants to give me flack needs an evaluation. Very sorry to hear you don't like the game. We never had any framerate problem on iPhone 6 versions of the game during beta. Do you have any other apps running when launching the game ? Current IAP price will have some slight changes today. 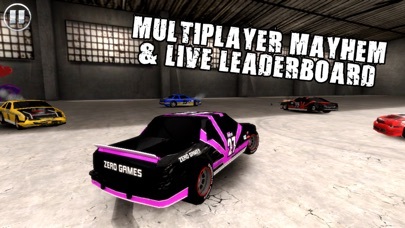 Unfortunately we don't have Destruction Derby licence, if we had it, we would have been able to make a transition to iOS platforms. So we did our best to keep the crashing spirit of the original one into a new game. Sorry if you don't like it. Hey, well kudos to them! Precisely what my initial impressions of the visuals were. Looks as though it could run on a 3Gs.